Gilda’s Club and Musser Public Library Present: Tai Chi and Lymphedema Workshop. Lymphedema impacts many cancer patients, especially those who have lymph nodes removed. It is most commonly associated with breast cancer, but does affect both men and women. 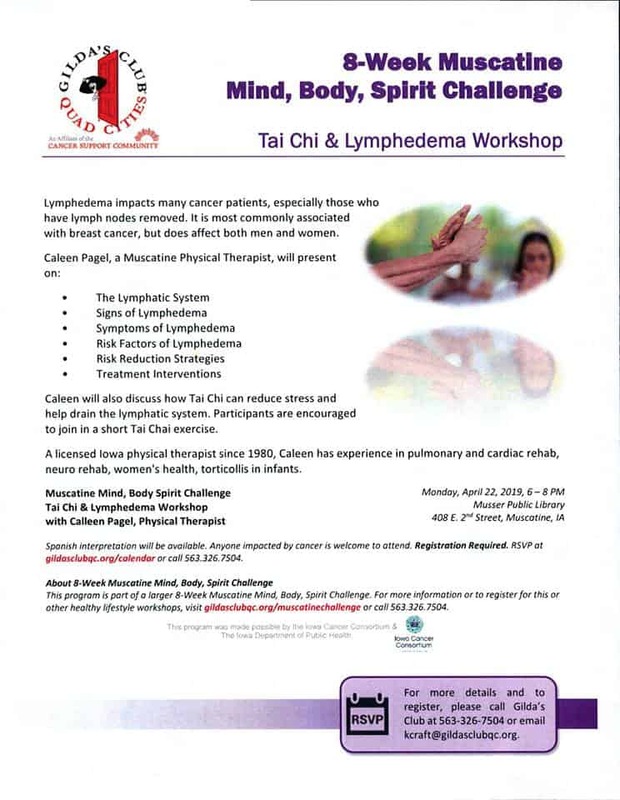 Caleen Pagel, a Muscatine Physical Therapist will present information of Lymphedema and discuss how Tai Chi can reduce stress and help drain the lymphatic system.